Boost your levels of self motivation from within, and stay driven and motivated naturally (no matter what the task is), with our powerful subliminal audio album. Do you start off a new project with abundant levels of motivation... but perhaps soon you encounter a problem, a setback, or the task just gets familiar and a little boring? Your motivation starts to drop; at best you still complete the task, but to a lesser standard, at worst your new project is abandoned. The diet that starts with solid intentions... but gets abandoned as you give into temptations. That study session which just ends with you watching TV. The exercise routine which at first excited you... but now is just a chore and an unpleasant activity. Imagine if you could keep the level of motivation you have at the start of a new project permanently - imagine how much work you would get done, and how much quicker you would reach your goals, and everything you could achieve! Well, this is not an impossible dream. You are ultimately in control of your motivation, that is, if you can take control of your mind, and that is exactly how our self motivation subliminal mp3 album works. It will send beneficial messages into your mind to increase your motivation, and to keep it consistent. It works by changing your patterns of thinking, attitudes, and physical habits on a subconscious level. Gradually it turns you into the sort of "naturally motivated" person that you currently envy - the sort of person who just gets things done and is always focused and motivated - after all, the only difference between these people and you is within your minds. Once you have these same sort of beliefs and patterns of thinking, then you too will be super motivated. You can either use the album for a few weeks and receive a permanent boost to your drive and motivation no matter what you are doing: working, studying, exercising etc. Or you can simply play the album when you feel your motivation dropping and you will soon stop procrastinating and feel your levels of motivation pick back up naturally. 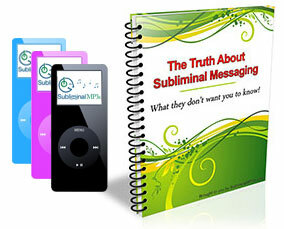 Start using this powerful motivation subliminal audio album today to achieve the things you really want to in life and get the most out of everything you do.